Giulio Terzi di Sant’Agata, Ambassador of Italy to the U.S. The panels will have a chair, a co-chair, a presenter on each framework paper, and three discussion leaders who will respond to each presentation. The framework presentations will be no more than 10 minutes each, and the discussants will speak for no more than 6 minutes. The follow up discussion among all the participants will be along the Aspen Institute model. Discussant 2: Michael Battle, U.S. Ambassador to the African Union. 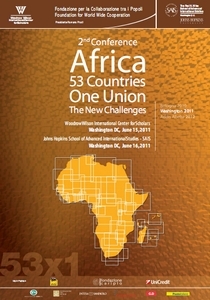 The new Conference ‘Africa: 53 Countries, One Union – The New Challenges‘ has taken place in Washington, DC on June 15 and 16, 2011. 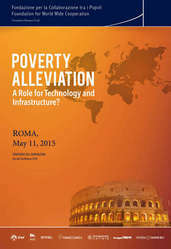 This was the second in a series of three conferences; the first one was held in Bologna last year, and the last one will be held in Addis Ababa in 2012. The main objective was to offer to senior policy makers and experts the opportunity to discuss the relevance of regional and continental integration in the solution of major African problems, including those generated by recent developments which now challenge our concepts of freedom and democracy. This year our Foundation for World Wide Cooperation has teamed up with the Johns Hopkins School of Advanced International Studies and the Woodrow Wilson International Center for Scholars to organize this series of events. The Conference has focused on the roles of the United Nations, African Union, European Union and the United States and China governments. International organizations such as the World Bank, African Development Bank, World Trade Organization, and Economic Commission for Africa had also been involved. The Conference opening on June 15 took place at the Woodrow Wilson International Center for Scholars (the Ronald Reagan Building) and the working sessions on June 16 were held at Johns Hopkins School for Advanced International Studies. All the participants have had the opportunity to offer their personal contribution and to participate in the discussion on all the issues involved. will soon be available here on the Foundation website . In September 2008, Professor Romano Prodi was appointed by the UN Secretary-General to analyze the situation of the African continent with regard to the great theme of peace. 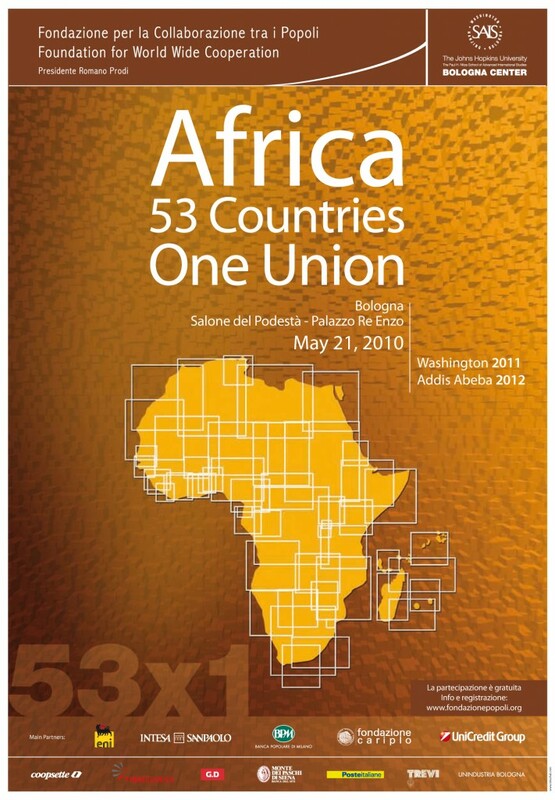 At the end of his appointment, the Foundation for World Wide Cooperation, of which he is chairman, organized a high-level conference on Africa, which was held in Bologna in May 2010. 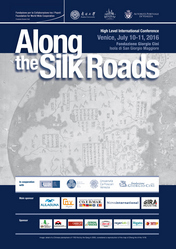 This year, a similar conference will be held in Washington, DC on 15 and 16 June. In addition to Professor Prodi’s Foundation, it will be organized by the Woodrow Wilson International Center for Scholars and the SAIS – Johns Hopkins University. The aim of the conference is to establish how best to help and support the process towards the unity of the African continent; a process that would be a long and gradual one, but which is an imperative condition for a long-lasting peace. The conference will offer to senior policy makers and experts the opportunity to discuss the relevance of regional and continental integration in the solution of major African problems including those generated by recent developments which now challenge our concepts of freedom and democracy. The Conference will concentrate on the roles of the United Nations, African Union, European Union and the United States and China governments. International organizations such as the World Bank, African Development Bank, World Trade Organization, and Economic Commission for Africa will also be involved. Secretary of State Hillary Rodham Clinton has expressed her intention to participate in the conference, as well as President of Malawi, Bingu wa Mutharika, and other heads of African states and international organizations. At the end of the Washington Conference, President Prodi will announce the third conference on Africa that his Foundation will organize in 2012, in Addis Ababa. The rationale for the Conference is that only by overcoming the present political and economic fragmentation, Africa can move ahead towards further peace, development and prosperity. The Conference is organized in two different panels, dedicated respectively to how integration can contribute to solve the problems related to 1) Security, peace and democracy and 2) Infrastructures and Markets. African political leaders, representatives of international actors such as China, the EU, the US, and officials from international organizations such as the African Development Bank, the United Nations, the World Trade Oorganization, the World Bank will participate in the discussion. 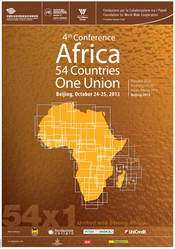 The Bologna Conference on ‘Africa 53 Countries, One Union’, had a great attendance both in level and number of participants. Over 50 political leaders and experts on African issues from all over the world were able to offer their contribution to the discussion, and about 350 attended as observers. 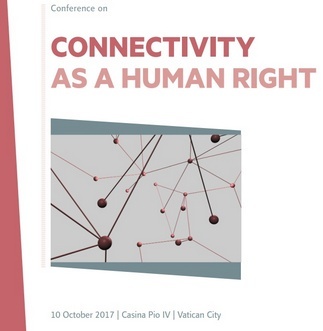 This document summarizes the background of the Conference, the main items presented, and the conclusions with plans for future work within a largely agreed roadmap. African states face great challenges to their stability and security. In response to them, African leaders have built important common institutions. In particular, they have emphasized an approach predicated on building blocks – starting at the sub-regional and moving into regional levels, and then gradually moving towards a continental structure. Nonetheless there is still significant room for improvement. It has become very clear that only by overcoming the present political and economic fragmentation, Africa can move ahead towards further peace, development and prosperity. Most developed countries have a great responsibility for the current situation, having always dealt with African states on strictly bilateral basis with no attention for any continental approach. Now it is the time to develop a more meaningful strategic relationship with African Institutions, (African Union ‘in primis’) starting from the European Union, the United States, emerging powers like China , and the United Nations. Achieving this objective requires improved coordination and depends from the strengthening and deepening of the existing mechanisms. This is Africa’s own vision and it should be supported. Remarkable progress has been made along this line in the recent past, but as the participants of the Conference underlined, many challenges remain in Security, Trade, Infrastructure and their tight connection with Investments and Development. The priority must be active conflict management to create a stable and secure environment at the national, regional, and continental levels. The African Security and Peace Architecture is being established including important contributions from the African Union, ECOWAS, SADC, and other organizations. Nevertheless, it lacks resources. It also lacks coherent external support. Moreover, conflict prevention through Early Warning system should be strengthened since it can avoid military confrontation altogether. The nexus between peace and development is very clear. Conflict management to create a secure environment is important and yet by itself is not enough. Indeed without development there will be no stability. As the Prodi Report underlined, peace on the African continent cannot be achieved through the deployment of military force alone. A second tier of interest encompasses, therefore, economic concerns related to trade, investment, infrastructures. Although in the future Africa will have to reduce its dependence upon development aid, it is important to remember that we need to embrace policies that do not harm African development. The key is to have open markets and to avoid market distortions that would impede development in the future. Here integration might be a potential solution. Africa has a long history of integration and regional initiatives. Indeed, most countries in Africa are engaged in more than one regional initiative. There are also multiple initiatives. What is striking is that despite this long history, trade flows remain very low in comparison with other examples of intra-regional trade. If you look at the period from 2005-2008, you will find that intra-Africa trade is low in aggregate. So what steps have to be put into place to increase intra-African trade across the boards? From this point of view, if you think of the cost of non-Europe, the costs of non-Africa are very high. It is a worthy goal to try to implement African integration because the economic barriers are very high. We need to keep in mind the economic motives for integration – not only within Africa, but with the rest of the world as well. We need to increase market access. This is the key to competitiveness and productivity growth. The question of intra-African trade is very important. But what are the constraints? One of the problems is the cross-border movement of people and goods. We need to address these cross-border movements because they increase the cost of doing business and trade. There will be non sustainable development in Africa in the absence of infrastructure. Infrastructure is not a target; it is a means of reducing the costs of production and attract investments. We know that Africa is rich in energy resources and other capacities. Geography is not the real problem. The real issue is that Africa’s infrastructures suffer from a governance problem. Even compared to other low income countries, Africa has a huge infrastructure deficit in terms of Insufficient supply of electricity , low road and rails density. Moreover, this infrastructure gap is widening. If you compare it with South Asia, you can see how Africa is falling behind in almost every dimension. There are three things that we can do about infrastructure. First, you need clear priorities, which should be decided according to the principle of African ownership. 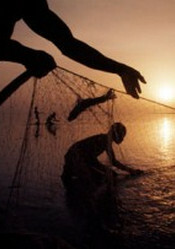 There is a plan that has been set by the African Union to create trans-African networks and this needs to be followed. Second, money is important but good government is even more important. If you do not have security of transaction or protection of property, you cannot benefit from infrastructural investment. We need to improve policy and regulations. According to a variety of studies of the four major transport corridors in Africa, if you look at the costs, you will find that vehicle operating costs are no higher than anywhere else. The transport prices, however, are the highest in the world. The explanation is the high profit margins that are protected by barriers to market entry. The one country that did deregulate – Rwanda – saw a 75% drop in the price of transport. Third, we need to combine targeted aid and private resources together. This involves a high level of planning, understanding, and certainty. Here is where regional integration or coordinated policies might play an important role in the development and stability of the African continent. Finally, education is key for human, social and economic development. On this topic there is already agreement among African leaders on what needs to be done. Now it is time to implement it. In order to face these challenging issues, the participants to the conference have agreed that we need to accelerate and strengthen the ongoing process of African integration. The Foundation for World Wide Cooperation is fully aware of the relevant work carried on by of the African Union and by African regional organizations. This important work should, however, benefit from a sort of ‘pentagonal dialogue’ among the UN, AU, EU, USA, China, which was agreed at the conference in Bologna. In view of the future conferences, already planned in Washington in 2011 and Addis Abeba in 2012, the Foundation proposes to organize a general preparatory meeting of high level representatives of the five parties involved (possibly in Addis Ababa) in the fall of 2010. This should help in launching, before the 2011 Washington conference, more technical workshops related to each issues highlighted during the conference in Bologna. Because this line of action has raised significant interests among the five parties involved, the Foundation for World Wide Cooperation will work to implement it.